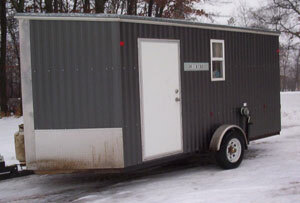 North Central Minnesota’s Trailer Repair Experts! 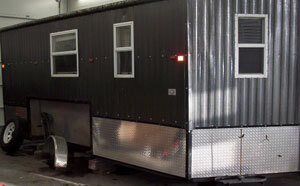 Trailer repairs are challenging with the grueling abuse many of us put on our trailers, especially in the winter time. Salt will quickly turn a beautiful trailer into a rusting mess. We can repair and provide extended corrosion resistance treatment to your trailer to keep it running right for years to come. Fish houses (wheel houses) rusting repair, axle work, and corrosion protection. Call us today at 218-829-0141 or stop by the shop and chat.